Summary: QT prolongation from psychiatric medications leading to potentially fatal cardiac arrhythmias is an uncommon but serious complication. Unfortunately, many psychiatric medications such as antidepressants and antipsychotics have a risk of prolonging QT. For patients at risk of QT prolongation, address modifiable risk factors, use caution with medications that may worsen QT intervals, and consider cardiology consultation. For patients with QT prolongation, stop any offending medications and address modifiable risk factors. Dave is a university student. Several years ago, he had been diagnosed with anxiety, and treated with Citalopram, which he continues to take. A few months ago, the dosage was raised to 40 mg daily. He now presents to you with fainting spells and chest pains. What are you going to do? What is a Normal QT Interval? The QT interval on the ECG is from the beginning of the QRS complex to the end of the T wave, and represents ventricular depolarization and repolarization. The QT interval varies with heart rate. QT prolongation is associated with an increased risk of torsades de pointes, a potentially fatal ventricular arrhythmia. When borderline → Consider reducing the dosage of any QT prolonging medications or changing to an alternative non QT prolonging medication. What is a Significant Medication-Induced QTc Prolongation? With familial long QT syndrome, for every 10 ms increase in QTc there is a 5% increase in the risk of arrhythmic events. What are the main risk factors for QT prolongation? Electrolyte Disturbances (in particular hypokalaemia, hypomagnesaemia and more rarely hypocalcaemia). Pharmacodynamic Interaction: Using more than one medication that prolongs the QT interval increases the risk of torsades de pointes and ventricular arrhythmia. E.g. macrolide antibiotics and antifungals which inhibit the CYP3A4 enzyme. E.g. diuretics can interact with QT prolonging medications by causing hypokalaemia. Rare; about 1 in every 7,000. Syncope (the most common symptoms), often triggered by exertion or sound; usually the rhythm returns to normal within a minute, and the patient regains consciousness without disorientation. 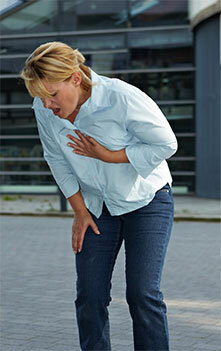 Generalized seizure: When the long QT syndrome dysrhythmia persists longer, it may presented with a generalized seizure. Sudden death: In a small minority, the rhythm degenerates further into torsades de pointes and ventricular fibrillation, and unfortunately, some patients will present with sudden death as the first indication of QT prolongation. For detailed lists of medications, visit https://crediblemeds.org/healthcare-providers/medication-list/. Note that the site is free to use, though user registration is required. Do baseline ECG prior to start QT prolongation medication, and then repeat when the medication reaches a steady state at target dose. Any history of cardiac events or symptoms? Are there drug interactions that can increase the level of a QT prolonging medication? Any medications that can alter serum electrolytes? What is the dose intensity of the QT prolonging medications? Family history of cardiac arrest and sudden death at early age? Does long QT persist despite stopping medications causing prolonged QT? There are no pathognomonic findings on physical exam to indicate QT prolongation. Hearing loss (congenital deafness), indicating the possibility of JLN syndrome. Since raising the dosage to 40 mg daily, he now presents to you with fainting spells and chest pains. A repeat ECG shows no further QTc prolongation. Abrishamkar S, Abbasi Fard S, Momeni A: QT Interval Changes in Moderate and Severe Brain Injuries, Neurosurgery Quarterly 2012 May; 22(2): 123-125. Up-to-date listings of medications that affect QT, including a downloadable app. Written by Khalid Bazaid (Psychiatrist), Michael Cheng (Psychiatrist), Mireille St-Jean (Family Physician), Marla Sullivan (Pharmacist) and Sinthu Suntharalingum (Psychiatrist). Reviewed by the eMentalHealth.ca Primary Care Team including Dr’s M. St-Jean (family physician), E. Wooltorton (family physician), F. Motamedi (family physician), M. Cheng (psychiatrist).